The very best programs provide a solid grounding in the broad field of kinesiology, including exercise physiology; biomechanics; motor development, control and learning; sport psychology; and sociocultural analysis of sport and physical activity. Like personal trainers and group exercise instructors, strength and conditioning coaches help others to improve their fitness. But strength and conditioning coaches differ from the others in one very important way—the clients they work with are focused on improving their performance or skill in a sport. Aquatic therapy is an umbrella term used to describe water-based therapeutic exercises designed to improve functional activities. 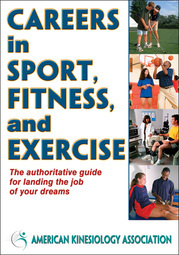 The complete resource for anyone aspiring to a vocation focused on sport and fitness offers chapters written by experts in their respective fields. Careers in Sport, Fitness, and Exercise details job descriptions, information on working conditions, salary ranges, responsibilities, key skills, and required certifications for 36 professions.